Born in Augusta, GA to Peruvian parents, Dr. Milton Chavez was raised in Spartanburg, SC where he finished his undergraduate education. He went on to Meharry Medical College followed by three years of surgical training including a pediatric surgical fellowship at UCLA. He subsequently went on to Rush University to complete a residency in Family Medicine. Dr. Chavez joined the Rush faculty and worked as assistant professor of family medicine at the Rush-Illinois Masonic Family Medicine Residency, where he developed a procedures curriculum, and served as its first coordinator (1993 to 2001). Dr. Chavez left this position to serve as Director of Outpatient Procedures and coordinator of the Health Systems Management Curriculum for the Saints Mary and Elizabeth’s Family Medicine Residency (2001 to 2010). Dr. Chavez special interests include office surgery and procedures including the diagnosis and management of skin and musculoskeletal disorders. Marcie is a board-certified emergency physician who has practiced clinical medicine for over 28 years. Originally from Ohio, she received her medical training at Case Western Reserve and residency training at the University of Illinois and is a Fellow with the American College of Emergency Physicians. During that time, she served as assistant director and as a teaching attending for rotating residents in the Emergency Department. In 2008, Dr. Stoshak shifted her attention to management and information technology consulting. Her ability to connect clinical medicine with information technology is one of her greatest assets. As the clinical lead for Centric Consulting, we are honored to have her consult with us on a part time basis. Marcie understands the blending of clinical and patient management experience and brings the patient and clinician along for better doctor- patient relationships. Personally, Marcie loves traveling with her family, is an avid reader, music and dog lover. She spends time volunteering for animal related organizations and The School of Rock. Vanessa was born and raised in Chicago. She started her medical career in 2003 as a receptionist at a pediatrics office. During that time, she studied nursing and in 2008 graduated with a Bachelor of Science in Nursing from West Suburban College of Nursing. She went on to graduate from Resurrection University in 2014 with a Master of Science in Nursing and is currently board certified by the American Nurse’s Credentialing Center. Vanessa’s career spans over 6 years, having experience in the progressive care, cardiac and pediatric units including mother/baby. Vanessa has over 3 years of practice experience, having worked at an immediate care center for 2 years as a Nurse Practitioner. During this time, she maintained her academic interests by teaching classes, clinicals, and laboratory at both Resurrection University and Triton College. Vanessa has always been a strong proponent for education and believes that incorporating knowledge helps heal, not only the body, but the soul as well. She is passionate about teaching and enjoys working closely with her patients to educate them on their illness and its prevention. She also enjoys training fellow nurse practitioners working to earn their masters. A kind, compassionate, and caring person, Vanessa feels honored that patient’s trust her with such an important aspect of their life, health and wellness. Visenta has worked in several medical settings over the years from a certified nursing assistant, where she cared for elderly Alzheimer’s/dementia patients. After receiving her degree as a Registered Medical Assistant, She began working in various medical clinics where she assisted physicians and surgeons in a several different medical procedures from knee injections to Endo-Venous Laser Therapies. Over the years, her demeanor and compassion coupled with an innate ability to manage and multitask found her move up quickly to managerial level positions. As our former supervisor of operations, she would cheerfully care for all of our patients, assist with blood draws ("I didn’t feel a thing!”), train/supervise our Medical Assistants and assists with all medical procedures. M. Chavez, MD, SC is proud to have Vesenta serve as our office manager. Visenta is the proud mom of very smart young man who is preparing for High School in the fall. In her spare time, she volunteers as a Tutor for elementary school students, helping more than sixty students with their homework over the years and hopes to complete her own homework to earn an RN degree by 2016. She is Bilingual (Spanish/English) and helps other staff members learn clinic-related Spanish phrases. Her infectious good nature is a joy to all who work with her! Born in Puerto Rico and raised in Chicago since 1974, Ivette has lived in the Humboldt Park area most of her life, Her career started inmedical field as a medical assistant where for years her duties included most practice management office responsibilities such as coordinating patient care and laboratory services.. Prior to joining our staff, Ivette worked for a home visiting physician group where she learned all aspects of wound care, including debridement, infection prevention and management and bandaging, Ivette continues to work part time as a biometric screener. Ivette's goal is to grow with a thriving medical business as she cultivates her other passions in the real estate industry. She is a proud mother of 2 adult children and soon to be grandmother. 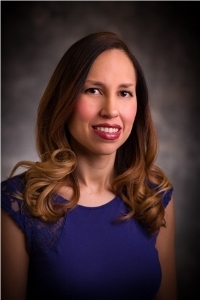 We are proud to have Ivette serve as Coordinator of Insurance Services for our patients. Marylynn was born and raised in Chicago and has called the Windy City her home ever since. She has always had an interest in caring for family and others, an interest that led her to pursue her studies to the medical field. Prior to joining out staff, Marylynn had worked for a pediatrics clinic followed shortly thereafter with work at a private OB-GYN practice. Her experience in these fields along with her personal demeanor are welcome in our practice. Marylynn's goal is to continue growing and branching out within the medical field, and ultimately further her medical career and become a registered nurse. She is a proud mother to 3 young adults, a son who is currently attending the University of Wisconsin pursuing a criminal justice degree and two daughters one of which is finishing up high school with her eye on becoming a pediatrician, the other is finishing up grade school. Marylynn spends much of her free time in home care for special needs elderly patients.